Here is a quick and easy recipe that is perfect to use when you have to work late or carpool. Preheat the oven to 350 degrees. Season the fish with salt and pepper. 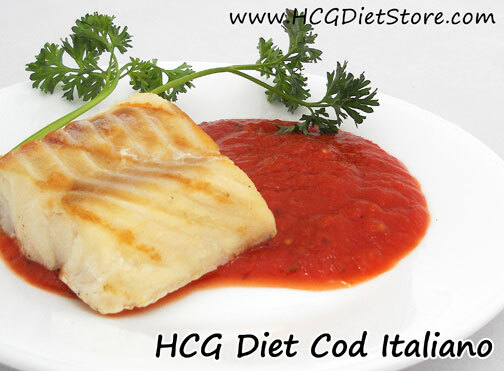 Cook the cod over low-medium heat with a non-stick pan or grill. Continue cooking until fish is opaque and flakes. Pour the tomato sauce into a separate saucepan, warm over medium heat for 2-3 minutes, stirring frequently. Remove from heat, serve with fish. This recipe is allowed on the VLCD phase of the diet (also known as Phase 2 or the 500 calorie phase). This recipe equals 1 serving of vegetables and 1 serving of meat.